Remember, my 2 P’s tip to instantly update your home? Paint & Pillows! 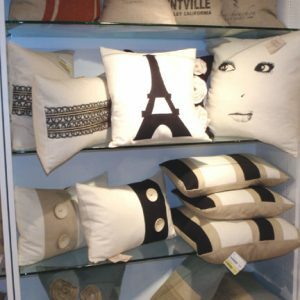 Well, I just have to share this new pillow line I came across last week at the Dallas Market. It’s called Square Feathers. The hand sewn works of art are made from high quality linen, jute & fleece. Ron’s signature design is the unexpected combination of jute & fleece. 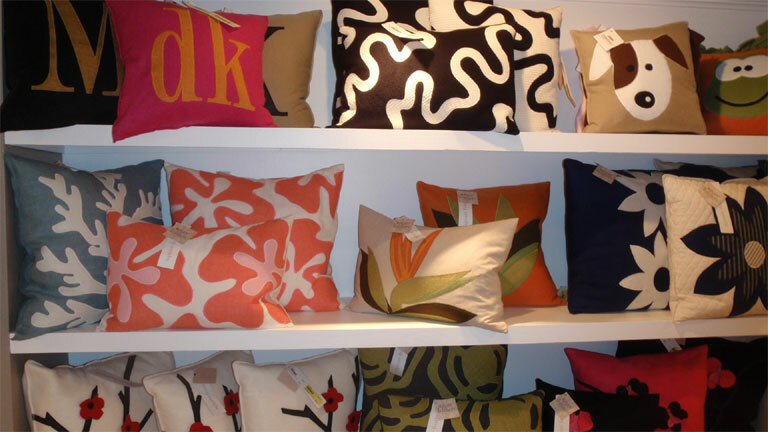 I had the pleasure of chatting with the very charming creative force behind these fabulous pillows, Ron McIntyre. What’s even better is that he’s a Texas boy ~ located in the heart of Austin, Texas. I put him on the spot & had him record a quick video tip for using his pillows for all of my readers to enjoy. 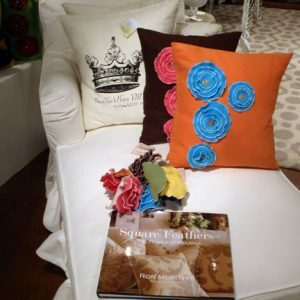 Ron even has an amazing coffee table book out full of eye candy for the pillow lovers. You can get it on Amazon here. His collection is vibrant & very chic. He has even implemented the ever so popular bird trend into a few of his designs. 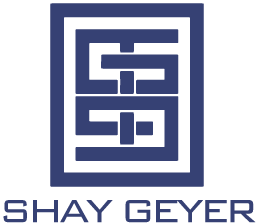 Take a look at some of his marvelous masterpieces & let me know what you think. 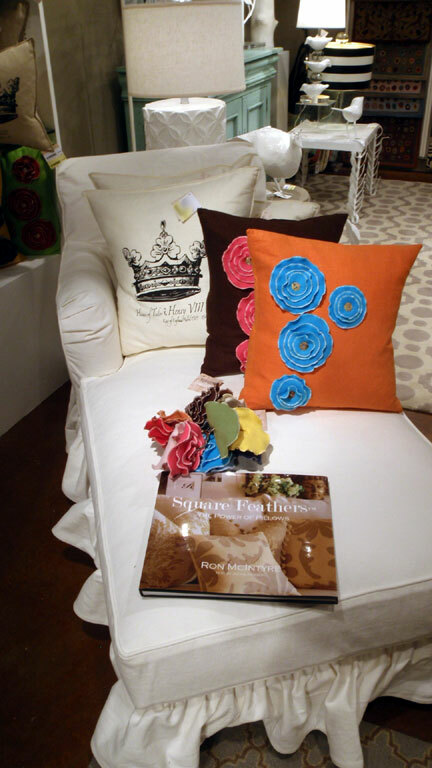 Vibrant Rose bud pillows from Square Feathers liven up a white chaise lounge. Notice Ron’s fab coffee table book at the edge of the chaise. 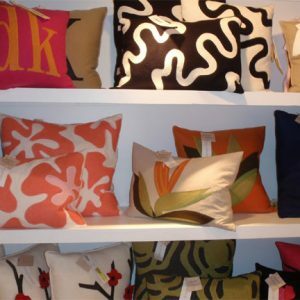 One of the most popular pillows from Square Feathers is their monogram pillow shown in the upper left of the photo. The collection also offers designs featuring kid friendly designs incorporating puppies & fun frogs. This wall also showcases some of my favs including the floral & cherry blossom designs. 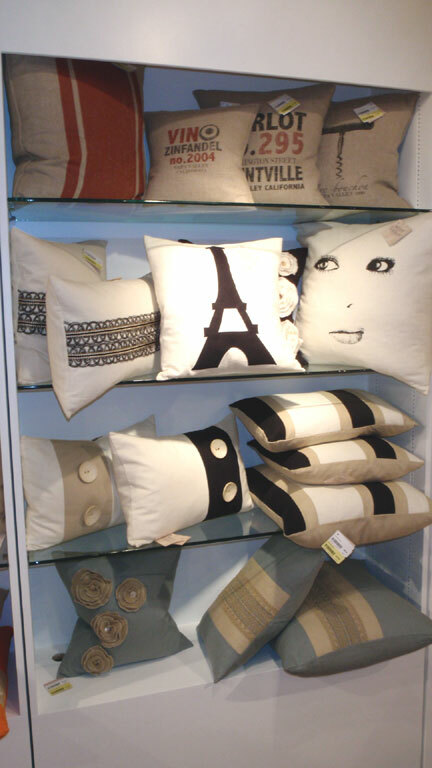 My guest bedroom at my house has a Parisian flair, so I know exactly where I could use the Eiffel Tower pillow. The pillow next to it reminds me of Audrey Hepburn & who doesn’t love her??? The bottom shelf features the Rose Bud pillow in a cool blue with contrasting neutral khaki rose buds. Switch out the rose buds to one of the 15 colors offered to compliment any color palette!